Note: Use the Subjects and Database Types drop-down menus to filter the list of databases. 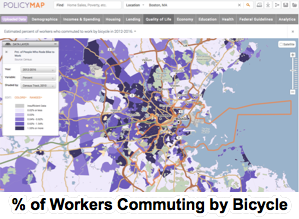 Policy Map is an easy-to-use online mapping and visualization tool. Downloadable U.S. demographic, economic and social data by city, state, zip code, county or census tract. Types of data include crime, housing, health, education and occupations, derived from both public and proprietary sources.